When your car or van needs sprucing up, check out Eco Car Wash, a company that specialises in eco-friendly hand washing and valeting. You’ll find them at shopping centres, retail parks and car parks throughout Ireland. 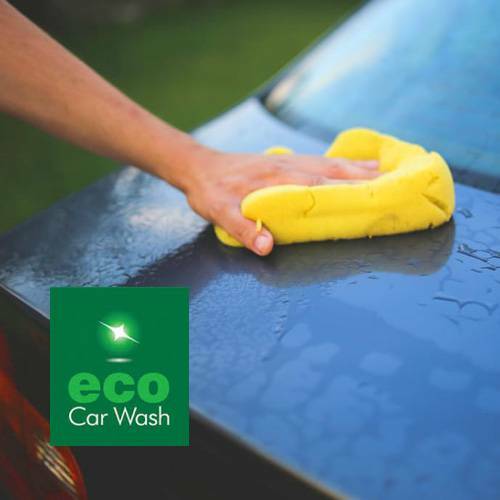 Your €20 Voucher can be used towards having your vehicle washed or valeted at any of the Eco Car Wash locations. Click ‘Redeem’ and your €20 Eco Car Wash Voucher will be requested. You’ll need to contact us to specify your Eco Car Wash location. Your €20 Eco Car Wash Voucher will then be on its way to your email within 2 working days. 2. Customers must specify a venue at time of redemption via the ‘Contact Us’ form or by calling the Dulux Trade Points Helpdesk on (01) 893 4992 to validate the voucher. 3. Choose from the following locations Dublin: Artane SC, Clarehall SC, Finglas Clearwater SC, Nutgrove SC, Parnell Carpark, Pavilion Carpark Swords, Dun Laoghaire, Rathfarnham SC, Roselawn SC, Stillorgan SC, Westend SC. Louth: Scotch Hall Drogheda, Tesco 24. Westmeath: Golden Island Wicklow: Tesco Bray. 4. Vouchers can be used as either full or part payment towards any external wash or valet for a car, van or mpv. 5. No change will be given if the full amount of the voucher is not spent.